Bridgewater, NJ- The Somerset Patriots announced today that 2018 Atlantic League batting champion Craig Massey has been re-signed for the 2019 season. Massey enters his second season with the Somerset Patriots and second in the Atlantic League. The infielder led the league in batting last year with a .338 average. He became just the fourth player in team history to win a batting title, joining Michael Warner (.351, 2001), Victor Rodriguez (.371, 2004) and Josh Pressley (.354, 2008). Massey also led the league in on-base percentage (.418), ranking as the only qualified batter in the league with an OBP above .400. 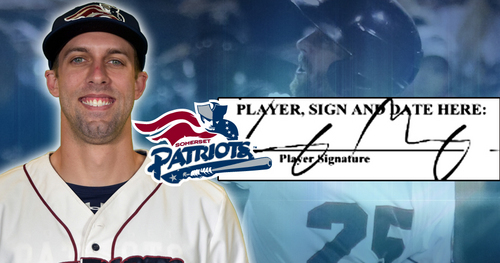 It marked the second-straight season that a Patriot player led the league in OBP (Kyle Roller, .429). The Bells, Tennessee native finished the year with three home runs, 40 RBI and 24 stolen bases in addition to his league-leading batting average over 87 games. Massey also enjoyed a number of notable streaks throughout the season, including a team-best 16-game hit streak from July 4 to July 25. He hit .375 over this stretch, which ranked as the fourth-longest hit streak in the Atlantic League last year. Additionally, Massey recorded a team-best 29 game on-base streak from July 4 to August 8, over which he hit .368. It was the third-longest on-base streak in the league. 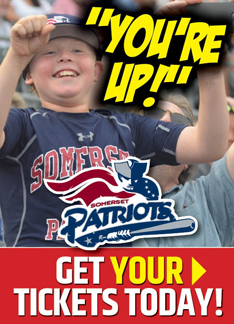 He also reached base safely in each of his last 32 games played at TD Bank Ballpark last year; a stretch that extended from June 22 to the last regular season home game in Somerset on September 12. That counted for the longest home on-base streak of anyone in the league. Including the postseason, Massey has reached base safely in each of his last 35 home games. The 6’2” left-handed batter spent his previous three seasons as a perennial All-Star in the Frontier League, making the Mid-Summer Classic in each year from 2015-’17. Massey represented the Schaumburg Boomers as an All-Star in 2015 before earning a selection as a member of the Southern Illinois Miners in both 2016 and 2017. He hit .295 with five home runs and 40 RBI with the Miners in 2016 before he hit .289 with two home runs and 43 RBI in 2017. Massey also stole a combined 31 bases over those two seasons. Massey hit .289 with 13 home runs, 128 RBI and 54 stolen bases over his three seasons in the Frontier League. The Faulkner University alumnus began his professional career with the Sante Fe Fuego of the Pecos League in 2014. He finished second in the league in batting (.465) and RBI (80) with eight home runs and a .522 on-base percentage over 58 games that season. Massey owns a .326 batting average with 24 home runs, 248 RBI, 86 stolen bases and a .404 on-base percentage over his five-year professional career.